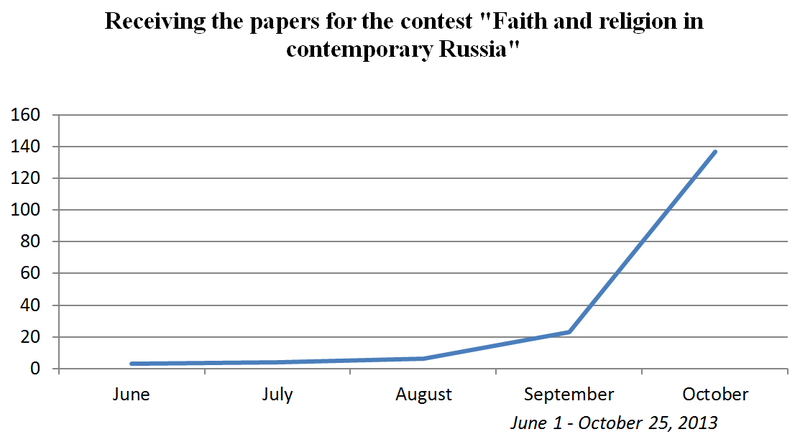 Call for papers is over : Non-profit research based consulting "Sreda"
Few papers continued to come to the contest after the deadline. « If I’m not too late … », – writes in her letter a participant who submitted her paper on October 21st. There are 172 papers for the contest. All texts are interesting, although very different: about pagans and Orthodox, Vaishnavs and Muslims, Catholics and Jews. Entries are different, apparently, as their authors are: students, graduates, postgraduates, candidates and even a young participant with a PhD. To participate in the contest one need not be a researcher in religious studies. 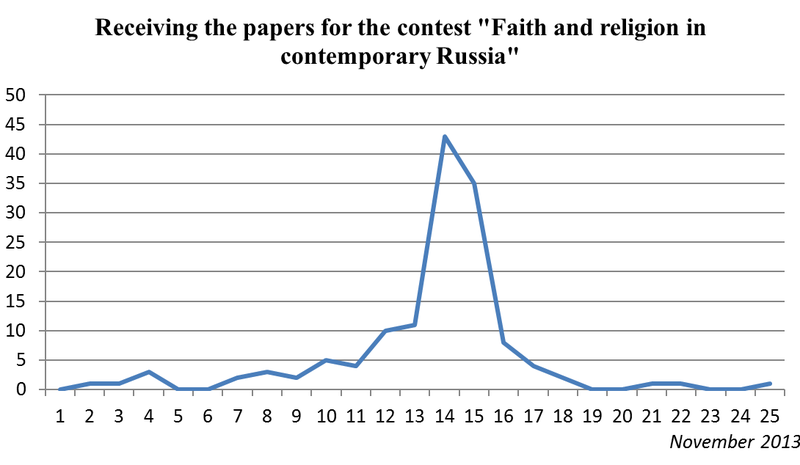 Contest turned out to be multidisciplinary, as it had been intended: not only religious scholars and theologians, but also political scientists, sociologists, historians, psychologists, lawyers, linguists, philosophers, and others took part in it. Now we can say with certainty that the competition is all-Russia. Our members represent such cities as Samara, Vladimir, Khabarovsk, Makhachkala, Blagoveshchensk, Tomsk, Penza, Chelyabinsk, Moscow and St. Petersburg. And even Munich! October 15 is the last day of applying for the contest. Now the most important and difficult stage of the contest begins, the selection of applications that meet the requirements specified in the Regulations. Thereafter, honorary members of the jury will begin to choose the best papers, they are already looking forward to work!